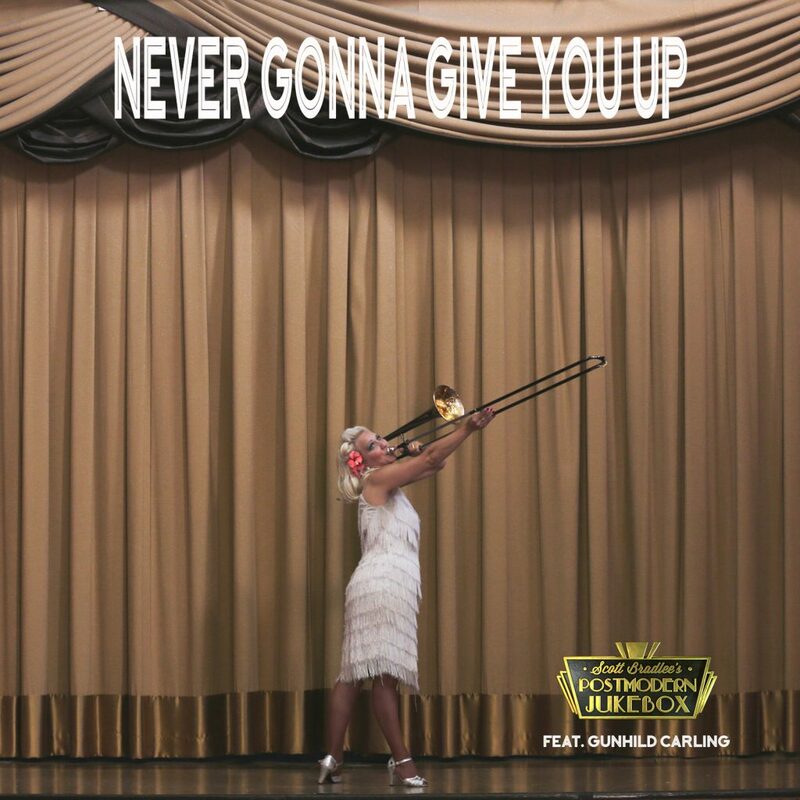 Click here to download the song starring One-Woman PMJ Gunhild Carling on iTunes. Earlier this year, a fan sent me this video, and my jaw hit the floor. For the rest of the day, I was showing everyone within texting range this incredibly talented multi-instrumental virtuoso, and posted it to Facebook in the hopes that someone knew a way to contact her. As luck would have it, someone tagged her and she reached out. I soon found out that Gunhild lived in Sweden, where she was something of a national treasure. Since PMJ was in the middle of a European tour, I arranged for her to perform with the cast at our Malmo and Copenhagen shows. She showed up right before showtime – playing a bagpipes, naturally – and proceeded to steal the show, despite not having a chance to rehearse with the band. Her playing was brilliant, and channeled the joy and energy of jazz legends like Louis Armstrong. Watch for the split at the end, too. Gunhild maintains an impressive touring schedule, and had about 48 hours in Los Angeles before traveling to Seoul. Fortunately, we were able to secure a great location for her PMJ debut – The Queen Mary, Long Beach’s historic ship-turned-hotel that houses one of the largest collection of Art Deco artifacts in the world. We filmed Gunhild’s debut – a hot jazz remake of Rick Astley’s “Never Gonna Give You Up” – in the ship’s Observation Bar. I couldn’t stop smiling; Gunhild’s joy was infectious, and her talent was unbelievable. I just turned on the camera and let Gunhild do her thing.